HOW MUCH WILL MY VACUUM ELEVATOR COST? Welcome to Access, the authorized distributor and installer of the PVE Vacuum Elevators in New York, Pennsylvania, parts of West Virginia, and Ohio. 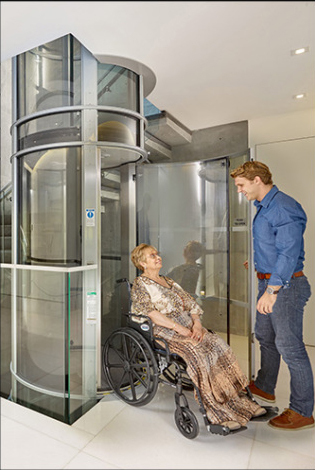 Currently installations are offered in three versions of its air driven residential elevators, ranging from single to a three-passenger, wheelchair-accessible home elevator. 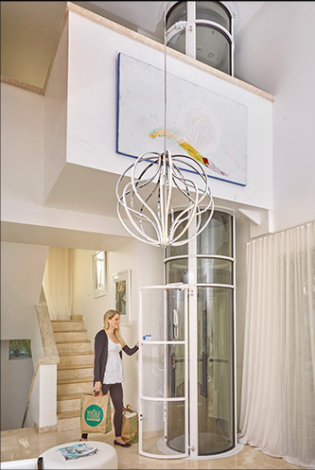 All of our vacuum home lift systems are capable of up to a 35 foot (floor level to floor level) vertical rise over as many as four stops. 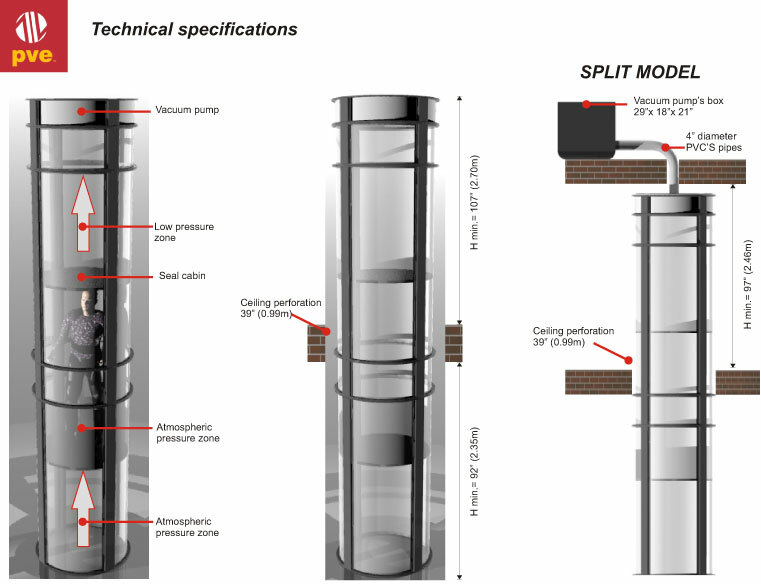 The unique design of the vacuum residential elevator is a perfect choice for any retro-fit or new construction project and will enhance the value of one’s home without the consuming footprint of a traditional home elevator. Vacuum elevators are nice because they involve minimal installation and can easily fit into most homes. Vacuum Elevators utilize air pressure in order to move the elevator car up and down as opposed to the traditional cables and gear systems. The vacuum creates a low & high-pressure environment inside of the tube. This is done with powerful pumps to reduce air pressure above the car, which in turn will increase the pressure below the car and ultimately push the car up. For movement of the elevator car back down, the air pressure below the car is simply reduced and then the car gently descends. 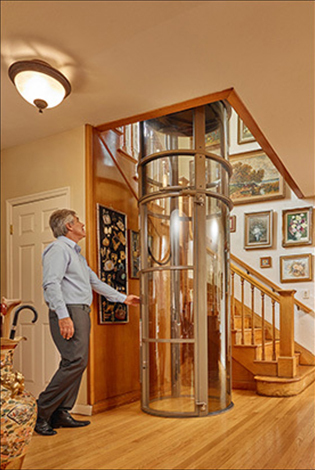 The revolutionary technology of the vacuum elevator has changed the way people and goods are being transported vertically within their homes. Furthermore, they have done so in an environmentally friendly manner.